Sunday was another easy day. The weather was perfect, sunny, little cloud and light wind. 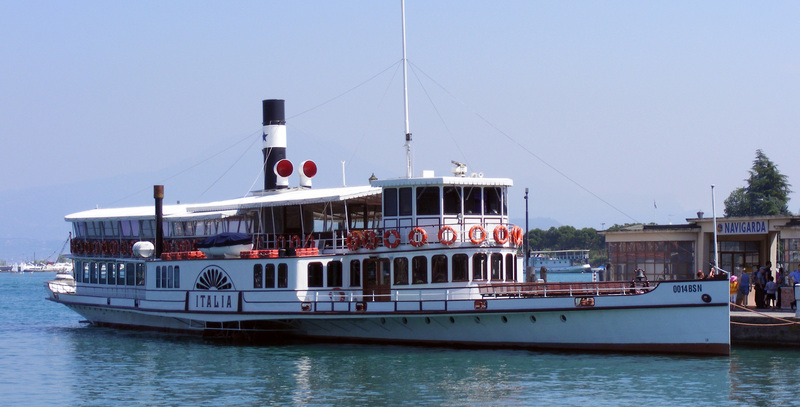 Because of the weekend crowds some of the older ferry boats, including a side paddle wheel version, had been pressed into service. 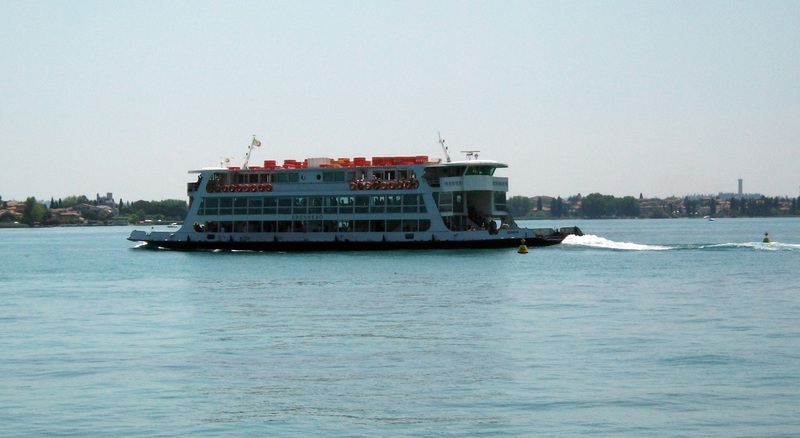 Two older ferry boats, one a screw type and the other a side paddle wheel. We walked all over the peninsular, ending up in the town where we looked at the church - a very old structure possibly incorporating stone robbed from the villa at the seaward end of the promontory. The porch on the front is supported by re-used Roman period columns, one of which was an inscribed milestone. 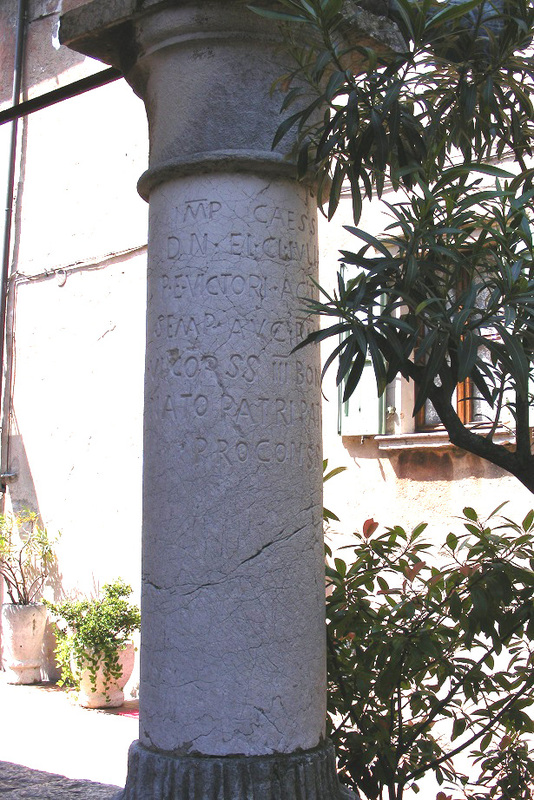 Roman milestone re-used as a support column for the church porch in Sirmione.